Anna Bill became a cop in Mountain Village because she felt that God wanted her to help her neighbors. In her short time as a Village Police Officer, between 5 and 7 percent of Mountain Village’s residents tried to kill themselves; Anna helped save them all. She also responded to active shooter situations, broke up assaults and was attacked several times herself. Anna responded to many of these calls alone. Anna reluctantly resigned last August, after eight and a half months on the job. Anna loved her job. Her community supported her, and as a survivor of a suicide attempt herself, it was satisfying to help so many other people. But in the Yukon-Kuskokwim Delta’s villages, local law enforcement’s job can seem impossible. Due to a series of fiscal decisions at the state level, rural communities are making do with less money to pay for basic services, including policing. As a result, Alaska’s Village Police Officers are expected to arrest their own friends and family without adequate support and for very little pay. It became an impossible job for Anna to do. To understand why Anna left, you need to know about the people she didn’t save. The trouble started last April when she received a call about a shooting. “We entered the residence and… I was kind of in shock,” she said. An 18-year-old boy was lying on the floor inside. Anna recognized him; he was a little older than her own son, Ramond. He was also a good student, only weeks away from graduating high school. Anna assumed that the boy had died from suicide. It was the first one she hadn’t helped stop. Anna’s police partner at the time, VPO John Scott Hunter, stayed inside the house with the body. Anna sat on the steps with a friend and waited for the Alaska State Troopers, who are called whenever there’s a death in the community. The Troopers examined the victim’s body when they arrived, and Anna noticed they were being more meticulous than usual. She says that it became clear that the victim hadn’t committed suicide. Someone had killed him, and the Troopers wanted Anna’s help. Anna wasn’t trained for this; like many Village and Tribal Police Officers, she had never received any police training. The Troopers mobilized a team of officers from at least six different divisions to investigate the homicide. Officers flew in from Palmer, Fairbanks and Soldotna, and they spent hours questioning Mountain Village residents, including Anna’s son, Ramond. A few days into the investigation, Anna was contacted by a close friend. She suspected that Ramond knew something about the murder, and Anna thought he might, too. She drove Ramond to the police station herself. Anna wanted to go into the interrogation with Ramond, but he was 16. In Alaska, that’s old enough to waive the right to be questioned with a parent present. Ramond asked Anna to wait outside and went into the room alone, without his mother or an attorney. Anna waited for a long time. Ramond Landlord faces a first degree murder charge and is being tried as an adult. In an affidavit filed with the court, Alaska State Trooper Todd Moehring writes that Raymond confessed to killing the victim in a home invasion that went bad. Anna didn’t know about any of this until she read it on the news. Anna says that she couldn’t leave her house for days. She couldn’t stop thinking about the crime scene, or what was happening to Ramond. Anna never received treatment for her PTSD. 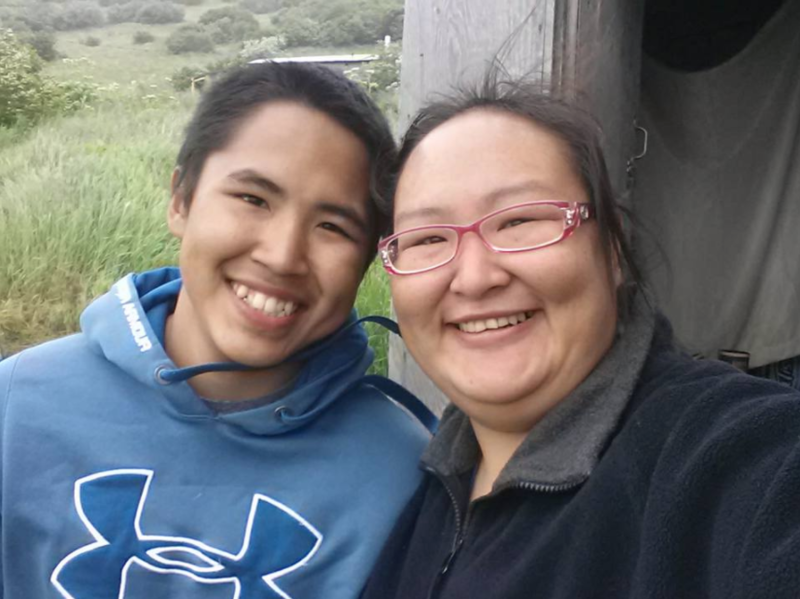 The Yukon-Kuskokwim Health Corporation’s Behavioral Health Department sent a counselor to Mountain Village for a week to help community members cope with the homicide, but Anna was too busy dispatching police calls to speak with him. She used to visit Ramond at Bethel’s jail about once a month, whenever she was in town. He was transferred to a facility in Anchorage last weekend, where his attorney says that he’s being held in solitary confinement. In Alaska, juveniles charged as adults are generally sent to adult prisons and held in solitary confinement for their own protection. The American Civil Liberties Union and other civil rights organizations argue that such isolation can cause serious psychological damage, particularly to young adults. Anna is convinced that Ramond is innocent, and while she admits to being biased, there is at least one worrying problem with the state’s case against her son. A few weeks after Ramond was arrested, Anna came down with pneumonia and was flown to Bethel’s hospital for treatment. While she was in the ER, she received a call from the Troopers. After the murder in Mountain Village, VPO John Hunter was the officer in charge of watching over the victim’s body. Troopers now claim that he tampered with the crime scene. Hunter is charged with stealing a cellphone from the victim’s body and is awaiting trial in Bethel. In the roughly eight months that Anna served as a Village Police Officer, she worked with seven different partners. Hunter is one of two who were later charged with crimes, which is not uncommon in Alaska’s rural communities. VPOs don’t undergo the same background checks that other law enforcement officials do, and although they are supposed to be held to the hiring standards of the Alaska Police Standards Council, this is not always the case in practice. Anna continued working as a VPO for a few more months after all of this happened, but the homicide weighed on her and the job kept getting worse. An intoxicated man injured her knee this summer while he was resisting arrest. Anna kept trying to do her job, and for a few weeks she was Mountain Village’s only police officer. She says that workman’s comp ultimately penalized her for working while injured. By August, she says, it was a job she literally couldn’t afford to do anymore. Anna is undergoing knee surgery later this year and depending on her recovery, she’s considering rejoining the Mountain Village Police Department. Even after everything that’s happened, she says she misses her job too much. And community members have begged her to come back. Her PTSD is still untreated. As Mountain Village’s first responder, she watched her friends and neighbors struggle to get the mental health care they needed. Now she can’t get it either. In the meantime, Mountain Village is searching for more Village and Tribal Police Officers. They had one for a few weeks in July, but she quit before school started. The stress was just too much.